I am very passionate about the practice of Physical Therapy and the opportunity that it provides for me to work with individuals whom have neck, back and extremity pain both acute and chronic. 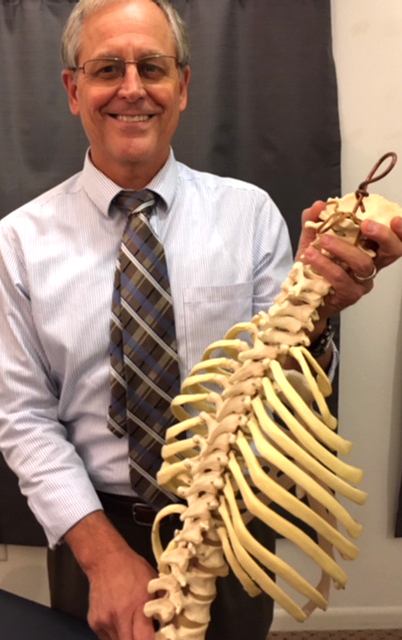 I have been a physical therapist for over 40 years having graduated from Mayo Foundation School of Physical Therapy in 1977 and then receiving my master degree in physical therapy from the University of Indianapolis in 1997. I got to experience the role of being a patient having had multiple musculoskeletal injuries. My own experience with neck and back injuries have helped to shape my current treatment approach to patient care which includes non-traditional techniques such as myofascial release, strain/counterstrain, functional indirect, craniosacral therapy, neuromeningeal and visceral release. I am also passionate about service in my professional organizations and have served the Iowa Physical Therapy Association as District Director, Treasurer, Chief Delegate, Vice President and President for which I received the Olive Farr Distinguished Service which is their highest honor. In addition, I have served the Orthopaedic Section of the American Physical Therapy Association as the Treasurer and receive their highest honor (the Stanley Paris Distinguished Service Award). I look forward to working with you. Include a brief description of why you are contacting me and how I can help you. Please do not include confidential or sensitive information in your message. Thank you! I will reach out to you as soon as possible.